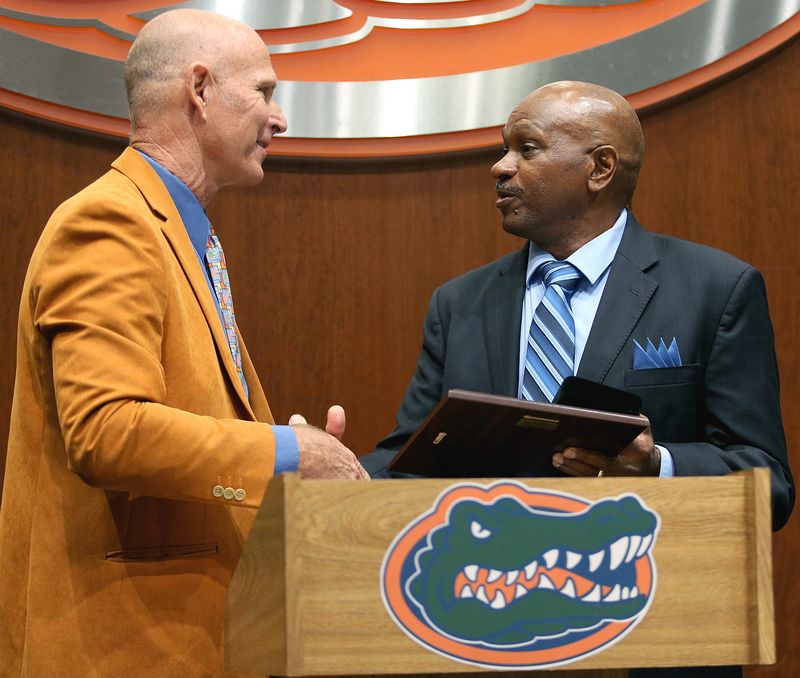 After leading the University of Florida men’s track and field team to its second consecutive and seventh overall national championship, UF head track and field coach Mike Holloway, right, has been named the United States Sports Academy’s 2017 Amos Alonzo Stagg Coaching Award winner. 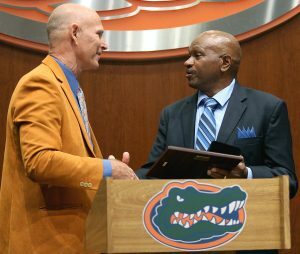 Holloway received the award at the annual UF track and field banquet from Dr. Liston D. Bochette III, a member of the Academy’s Board of Visitors who is a UF Track and Field Hall of Fame athlete. DAPHNE, Ala. – After leading the University of Florida men’s track and field team to its second consecutive and seventh overall national championship, UF head track and field coach Mike Holloway has been named the United States Sports Academy’s 2017 Amos Alonzo Stagg Coaching Award winner.